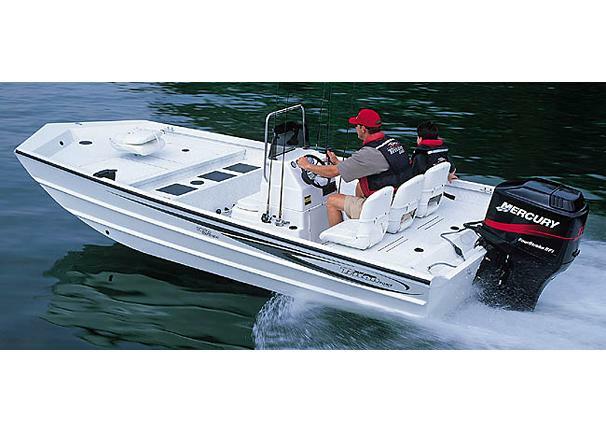 Boat Description The Triton 1870 Bay Sport, hyper-engineered to conquer all the extremes of bay fishing. When the wind howls and the going get rough, you`ll stay dry thanks to the 27-inch sides and high-performance bottom design. In skinner water, the forward-mounted fuel tank and 70-inch bottom mean an incredibly shallow draft. This 18-footer also sports and incredible 98-inch beam for maximum interior room and extraordinary stability.